The Husqvarna HI10 Elite-Cut #542776404 is used for asphalt, asphalt over concrete and some abrasive green concrete with undercut protection cutting. The Husqvarna Vari-Cut Plus #585580801 is a general purpose blade designed for cured concrete, abrasive material and light asphalt overlay with undercutting protection. 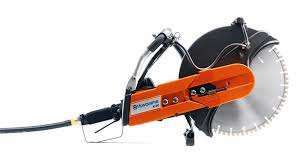 The Husqvarna Pro45 16″ Diamond Chain #588150402 is designed for us on reinforced concrete, concrete pipes and precast. 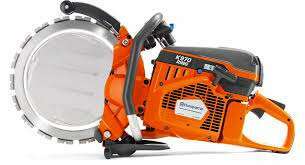 Designed for the Prime K6500 Chainsaw.